Metal laser melting enjoys increasing demand. The process has succeeded in developing from rapid prototyping to a recognised production technology. The quality of results achieved is convincing and stringent enough to satisfy the demands of aerospace applications. Premium AEROTEC is the leading partner for the use of this technology in aeroplane manufacturing and has now signed a cooperation agreement with toolcraft. 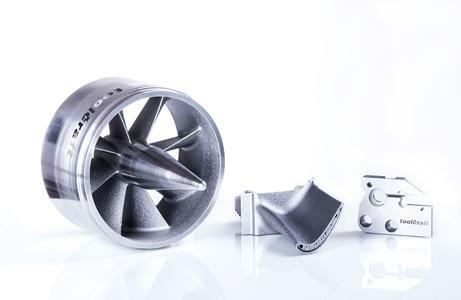 The rapid industrialisation of metal laser melting for use in aerospace applications and toolcraft's expertise in the supply of laser-melted parts to Premium AEROTEC are the main focus of this expanded cooperation. Metal laser melting offers wholly new possibilities with outstanding economic efficiency. During the additive manufacturing process, a part is built up layer by layer. The laser melts the material concerned in powdered form. During this innovative process, the construction data for the manufacturing of the parts is separated into cross sections and then built up on top of one another during the melting process. As a result, the component grows upward in a 3D-like manner. The advantages of this process are obvious, including the production of complex geometrical shapes, the processing of materials that are difficult to process with machines and the production of components without the use of tools within a short period of time and with very little material waste. Toolcraft has been manufacturing precision parts for Premium AEROTEC for many years. Now the company also delivers laser-melted parts. 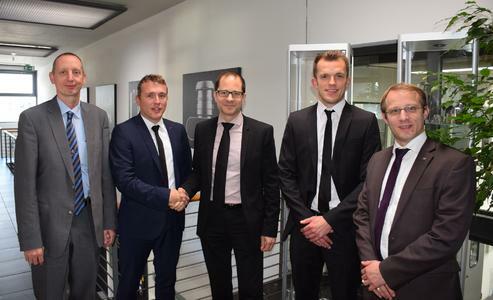 "We are pleased to partner with AEROTEC, a company interested in advancing development in the area of metal laser melting", said Christoph Hauck, managing director of toolcraft. As part of the cooperation, toolcraft's additive production area will receive its own building. At the same time, the company has also invested in an additional laser melting system and increased the machine park to a total of five machines. The M2 multilaser features an innovative laser system. Two 400 W lasers are now used instead of one. This significantly increases output compared to previous models. Metal laser melting opens up new possibilities for the production of efficient lightweight structures for the aerospace industry. As a partner for complete solutions, toolcraft offers expertise in the serial production of laser-melted parts. toolcraft provides the entire process chain in-house, from design through to manufacturing and machine refinement and quality control. 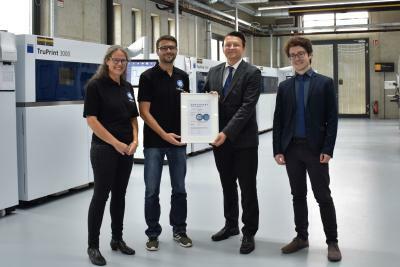 Both partners in this cooperation want to use their skills and experience to advance the development of components made using the metal laser melting process. This includes both the manufacture and quality assurance of the powder as well as the production and post processing of parts. A further goal is to obtain the certification of additive processes for the aerospace industry. The quality of the components can also be quickly and reliably verified using a system for non-destructive surface testing. The area is in accordance with NADCAP requirements.